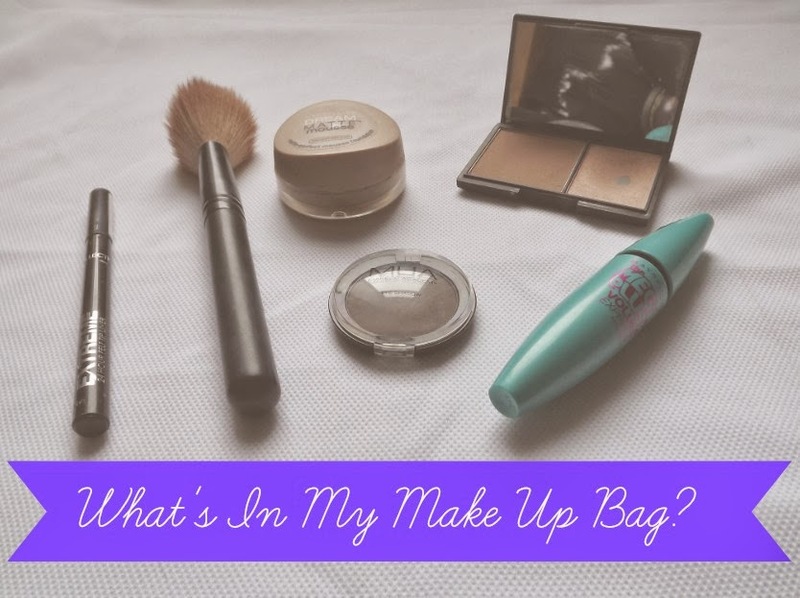 Today I thought I would do something a bit different and do a what's in my make up bag post. I did one a very long time ago and it was literally the worst thing you will ever have seen so hooray a new and improved post. 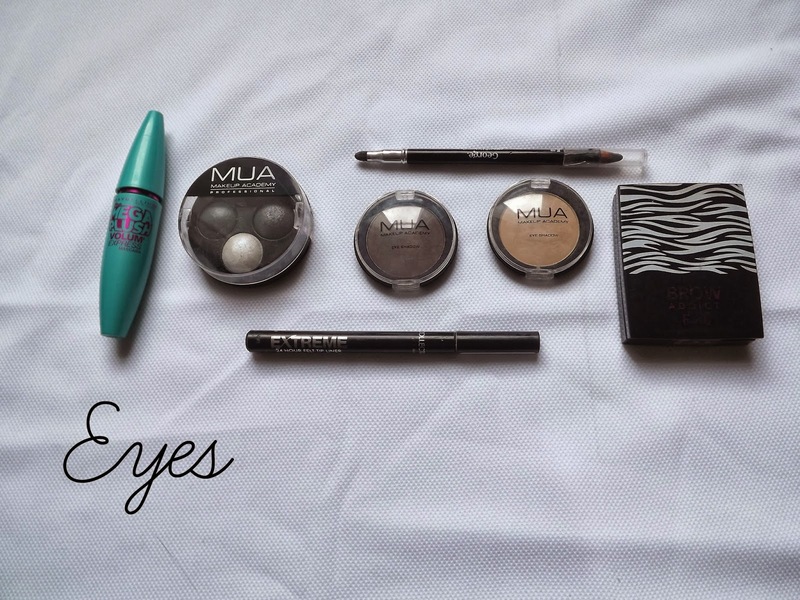 The items that are in my make up bag are the things I use the most and on a daily basis. This is my make up bag. 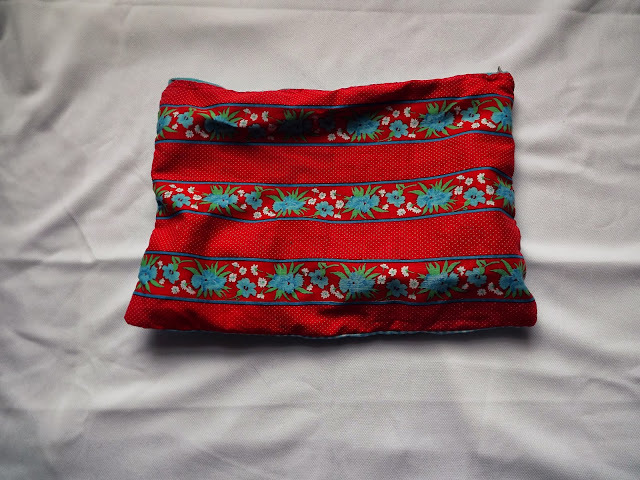 A family friend gave us loads of material when she was moving house so I decided to use it to make myself a make up bag. Pretty impressive eh? It's quite spacious and a bit flimsy and I should probably buy a proper one. These are the thing I use on my face. When I first starting bothering with make up I used the Maybelline Dream Matte Mousse and when I recently run out of my other foundation I bought this because I was desperately in need and knew that it was pretty good. Like every other person in the blogosphere, I use the collection lasting perfection concealer because it is indeed magical and covers everything. 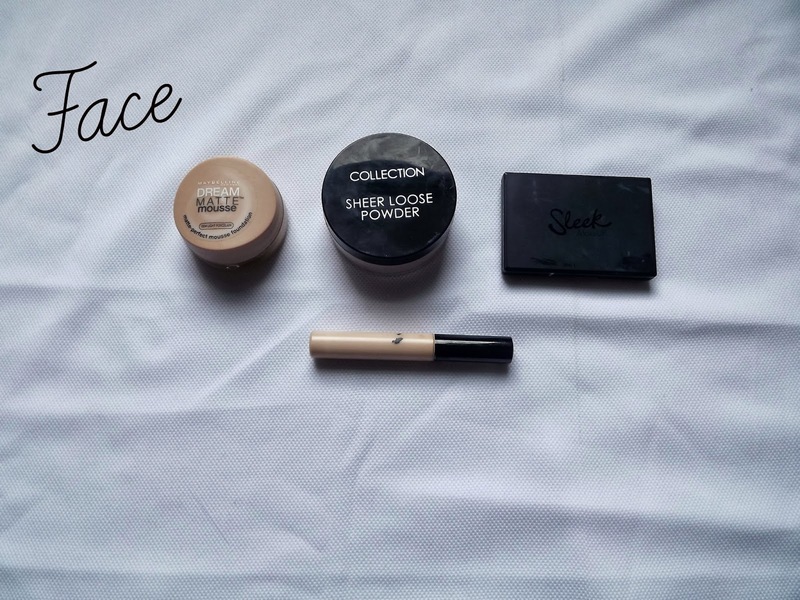 I also use the collection sheer loose powder which gives a smooth matte finish to your face. Now for one of my favourite products, the Sleek contour kit. It is amazing and comes with a brown powder and a highlighter which together make you look like you have the face of an angel. Recently I got rid of all of my eye shadows because I had them for ages and thought it was time to buy some new. I bought the MUA dark brown and light brown eye shadow for a natural look and for when I can be bothered I will use the more smoky shades. I rarely ever wear eyeliner but when I do I just use a cheapo one from ASDA, I probably should use a 'proper' brand but I don't. When I have time I use the Collection Extreme felt tip eyeliner for the cute little eyeliner flicks but I can never make them even. On my lashes I use the Maybelline mega plush volume mascara which makes my eyelashes appear lovely and long. Again for when I can be bothered I use the Famous brow kit but when I do I have to be careful because I have a serious case of wonky eyebrows/wonky eyes/wonky head. These are the brushes I use for my makes up, I don't use a foundation brush with the matte mousse because it makes it go crumbly. 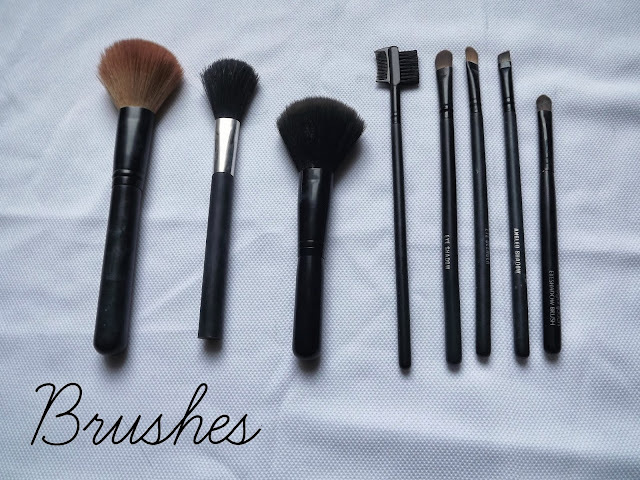 (L-R) Loose powder brush, highlighter brush, contour brush, eyebrow brush, eye shadow brush for the brown shades, eye shadow blender, slanted eye shadow brush, brush fro darker eye shadow shades. I hope the post has been relatively interesting to see what I have in my make up bag. As you can see I don't use all the top brand make up as I am completely happy with the high street brands.